Ronald George Samec is a creation scientist and educator with specialization in Astronomy and Physics. He is currently a professor at Bob Jones University, and on the board of directors for the Creation Research Society where he has served since 2001. Ron has a BA in Astronomy from the University of South Florida, an MA in Science Education from the University of South Florida, and a PhD in Physics from Clemson University. Over the years, he has spent time studying variations of stars. Photoelectric, and CCD photometry and spectroscopy and analysis of light and radial velocity curves of neglected eclipsing binary systems. Synthetic light curve techniques. Star spot modeling in close binary systems, Studying Contact and Near Contact Solar-type Eclipsing Binaries and Eclipsing Binary Stars as tests of Relativistic Gravity. Mr. Samec has gone on to teach on a variety of subjects in his interest spectrum. He spent time working in schools teaching physics, astronomy 1 and 2, as well as mechanics. Before that, he was the public observatory director in a planetarium at Butler University in Indianapolis. 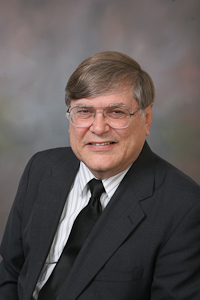 Ronald Samec has published well over 50 articles in a variety of secular journals, as well as at least 34 articles published in the Informational Bulletin on Variable Stars. Photoelectric photometry of very short period eclipsing binary systems and their light curve solutions Ron Samec Ph.D. Thesis, Clemson Univ., SC. The Heavens Declare . . . A Young Solar System by Ron Samec. Answers p30–35, January 2008. ↑ 1.0 1.1 1.2 Ron Samec Bob Jones University. This page was last modified on 26 June 2010, at 17:52.